Verizon has long had a practice of throttling data speeds on its MVNOs to 5 mbps or less. But last month several users on TracFone's Page Plus and Total Wireless Verizon MVNOs posted on HowardForums that they were getting download speeds that were as high as 50 to 70 mbps. It looked like the 5 mbps cap had been lifted for at least some TracFone owned Verizon MVNOs. Some Page Plus users even got a text from the carrier promising faster data speeds. But without official confirmation from TracFone I could not be sure if the higher speeds applied to all TracFone brands. Earlier this week I received an email from a TracFone spokesperson letting me know that I was incorrect in posting that data speeds on Straight Talk Verizon network phones were capped at 5 mbps. According to her, "...Straight Talk service running on Verizon’s nationwide 4G LTE network now operates at maximum speed of the network. Straight Talk customers enjoy high-speed 4G LTE data with their service plans and then 2G speeds once the data allocation has been reached." I asked if the same was true for the TracFone brands Net10, Total Wireless, Page Plus and TracFone on the Verizon network and she replied that it was. Keep in mind that Verizon deprioritizes data speeds on its prepaid plans and on the least expensive postpaid plan when the network is congested. I'd be very surprised if Verizon didn't deprioritize its MVNO's data. As always data speeds on any operator vary depending on location and network load. That means that sub-5mbps speeds are still very possible at times. But at least TracFone Verizon MVNOs are no longer subject to a full time 5 mbps cap. The end of the 5 mbps cap seems to be limited to TracFone brands. Users of other Verizon MVNOs like Selectel and Boom Mobile still appear to be limited to 5 mbps, which seems rather unfair to the other MVNOs and their users. I can confirm not having the ability to send MMS &/or email with attachments during busy hours like 7-9 PM some evenings, but a small inconvenience for the savings $13/month average for all the service I need. People looking to use their phone for work purposes.....go Verizon postpaid unlimited (which prices have recently gone UP this week a wee bit to continue high speed use on hotspot). 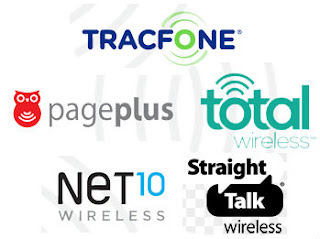 When will at &t via net10 be included? it definitely varies. verizon prepaid is deprioritized so bad in my area it's practically worthless during peak/prime hours. i'm talking down to 0.05 or 0.10mbps on the downstream. not sure about the other MVNO like Trac or Total or Straight Talk but I can't imagine they'd be any faster in a very congested area like mine than Verizon's own Prepaid brand. I have Verizon Post Paid and it now that they offer unlimited my service is just as bad. They probably de prioritize TracFone before their own prepaid or maybe all at the same time to give way to their postpaid subscribers. It would only make sense. Thankfully in my area I have never experienced such a thing. Well Tracfones' Total Wireless is another small step closer to living up to its name. Total - involving all aspects, elements, participants, resources, etc. ; unqualified; all-out: Total Wireless ! I bet they've implemented a heavy deprioritzation model for all thier MVNOs. Frankly it would be better to just keep the 5mbit throttle, it's still faster than Cricket most days. or raise it to 8mbs to match Cricket for marketing purposes. Outside of phone nerds, no one cares about megabits per second. They could market 2 Mbps under the trademark name "Mega Super Fast" and it would increase business more than just simply having 10 Mbps. They care about speed in general. Us nerds just know how to measure, quantify, analyze and compare speeds, while other people just shrug and go back to postpaid if their data stalls too much. I get really high speeds with TracFone service now without the cap, like sometime over 50Mbps download. Depends on the tower and the time. Sometimes get super upload speeds too. Verizon apparently rolled out the cap end in selected areas, as many did not see it. Seems more widespread now. He did us a name.....Unknown. Has he not used a name his post would have shown under the name 'Anonymous'. I'm actually considering Tracfone again (with a heavy amount of caution) once they have a decently specced Nougat device for Big Red that's available on the cheap. I've heard bad things about the J7 Pro's quality (or lack thereof). The LG Fiesta L64VL has become quite popular because of it's higher end specs. User reports have been good so far. Net10 is now doing a double data for life promotion. It's for new customers only and ends on 11/26. $35 for 4 GB, $40 for 8GB, $50 for 16GB, and $60 for 20 GB. Apparently still throttled on StraightTalk using the ZTE288L on VZW, speed tests show 5Mbps which is up from 3Mbps when I bought it 2 years ago. My longstanding complaint is in addition to throttling, it either drops packets or rate limits certain types of traffic. AR games such as Ingress won't even load because of it, unfortunately.... nothing has changed here. I can also confirm here in Houston that my download speeds have reached almost 40mbps on my iPhone 6s with Total Wireless. Although they do drop to around 10 during the busy times of the day. Also my upload speeds never seem to pass 10mbps either. Usually stuck around 2-5 still. Tracfone user.I live about 3 miles from inverness, fl. and I hardly ever use data but during hurricane irma i lost power and my data connection was the only way i could get info. on hurricane and power outage. i have never checked my data speed before but after i used about 200 Mb of my data (had over 1GB) my speed was dropped to 1x which is useless. i filed complaint with FCC and tracfone contacted me and said the fine print of my agreement said that verizon could limit tracfone customers to give priority to their verison customers. I wondered why I was getting full speed in some areas. TW also has rollover add on data for $10 for 5gb.